A permit from Department of Environmental Quality (DEQ) is required for Industrial, Commercial, Construction Waste and Demolition Waste. Fire Season Ends Sunday October 28th, 2018. Fire officials with the Douglas Forest Protective Association will officially end fire season on the Douglas District Sunday, October 28th at 12:01 a.m. This will also signify an end to fire season in DCFD#2 areas. With the end of fire season, Industrial Fire Restrictions on DFPA protected land will no longer be in effect. Backyard debris burning outside of incorporated cities will be allowed without a burn permit from DFPA, however residents should contact their local fire department before conducting any burning as fire restrictions may vary between local fire districts. The only type of burning that requires a permit from DFPA outside of fire season is for the burning of logging slash. Any type of commercial tree harvest that requires excess debris to be burned constitutes logging slash and therefore requires a burn permit. Permits to burn logging slash can be obtained by calling DFPA at 541-672-6507. Despite fire season coming to an end, fire officials advise residents to exercise caution when burning or using fire in the woods. Several days of sunshine and dry weather during the fall months can create a fire risk even if a week or more of rainy, cool conditions precedes them. When burning yard debris, make sure to have an adequate fire trail around the pile or incinerator and never leave the burn unattended. If a fire escape containment, the responsible party may be held financially responsible for the resulting fire suppression costs and associated damages. The 2018 fire season began on June 8th and lasted 142 days. Firefighters suppressed 95 fires which burned about 270 acre within the Douglas District. Lightning sparked 9 of those fires that burned about 110 acres, most of which was on private land within the Miles Fire. 86 human caused fires scorched roughly 160 acres, with about 100 of those acres resulting from the Mile Post 163 fires. Douglas County Fire District No. 2 Board of Directors has an opening. The vacancy is to be filled until the end of a 4-year term, June 30, 2019. Therefore, the position is subject to reelection by the voters who reside within the District borders. Interested parties should submit a letter of intent, Attention: Chief Rob Bullock, 1400 Buckhorn Road Roseburg, Or 97470 by November 16, 2018. Applicants must be a registered voter residing in Douglas County Fire District No. 2 boundaries or owning property in Douglas County Fire District No. 2 boundaries. Letters of intent will be reviewed at the Board meeting November 20, 2018 at 5:30 pm located at Station 5. 6000 Garden Valley Road. Douglas County Fire District No.2 has opened up burning for small yard debris piles. 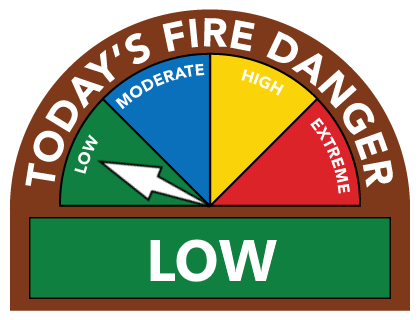 Although weather conditions have brought about cooler temperatures and increased moisture, we urge the public to use extra caution when burning and to comply with all applicable burning regulations. In keeping with the recommendations of our area fire partners, Douglas County Fire District #2 is suspending all backyard debris burning and use of burn barrels effective immediately. This is due to unseasonably warm weather forecasted throughout the remainder of the week as well as dry and windy conditions coupled with lower relative humidity readings. Check back for updates next week.